1. We will PETITION to erect a Nativity Scene on the White House Lawn every December at Christmas. 2. We will DEMAND equal time and MORE for Christian symbols in the public square and support Christian institutions dedicated to the advancement of a Christian society. 3. Brother Nathanael’s Street Evangelism will be SUPPORTED by a Legal Team on staff. 4. We will work to KEEP the Internet Free. 5. We will SUPPORT current Media outlets and OWN resources to bring FACTUAL NEWS to the American people who are being DENIED this. 6. We will start an education program to bring WHOLESOME sexual ideology to Public School Students. 7. We will begin a Publishing arm that will publish CENSORED Books Like Solzhenitsyn’s “Two Hundred Years Together” which incriminates the Bolshevik Jews responsible for the Soviet purges. 8. 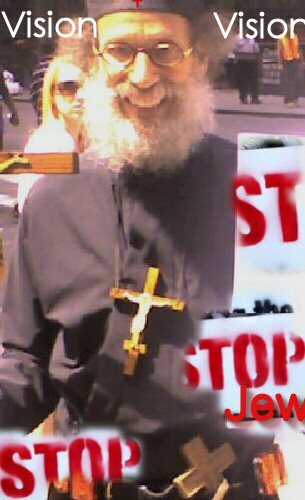 We will expose the Zionist State of Israel as an Anti-Christ state due to its denial that Jesus is the Jewish Messiah. 9. We will enjoin members of the military to join us in our mission for the promotion of Christ's teachings on peaceful co-existence with the nations of the world. We Will FIGHT For The Lord Jesus Christ's Honor Wherever We See His Name Being Opposed!